"The doctrine of the infallibility of Scripture can be denied, but the concept of infallibility as such cannot be logically denied. 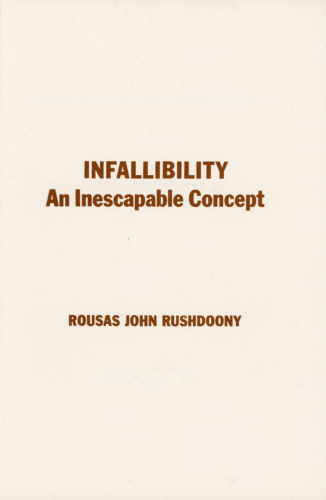 Infallibility is an inescapable concept. If men refuse to ascribe infallibility to Scripture, it is because the concept has been transferred to something else. The word infallibility is not normally used in these transfers; the concept is disguised and veiled, but in a variety of ways, infallibility is ascribed to concepts, things, men and institutions."